The video tutorial is here. Install the printer’s driver here. After installing Rollo driver, connect the printer’s USB cable to your computer and turn on the printer. The switch is on the right side near the bottom. The computer will detect the Rollo printer and add it to its printers’ list. Open the printer by sliding the blue latch to the left and adjust the purple sliders inside to fit the width of your label. Place the label inside and facing upwards, close the printer cover. 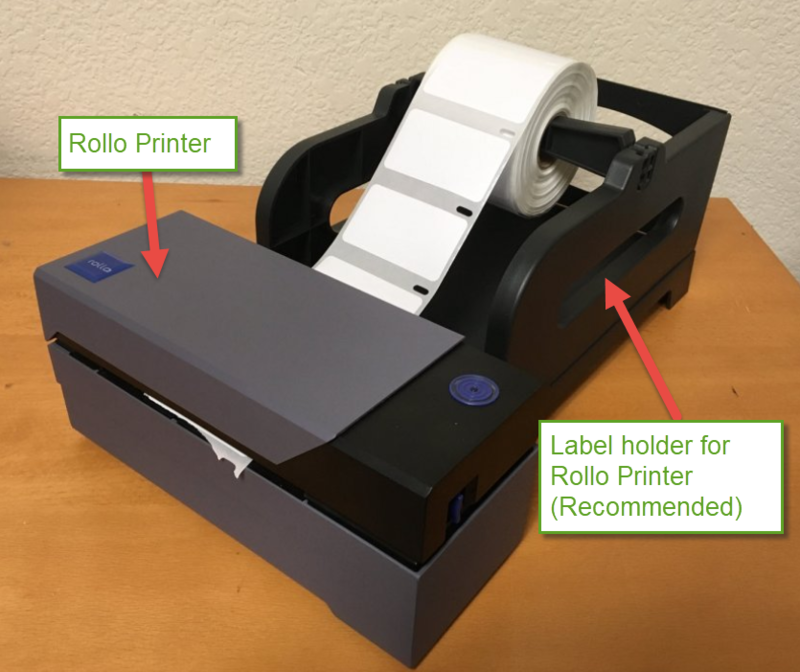 We recommend a Rollo label holder so you can feed the label to the printer with ease. Hold down the button with the green LED until you hear one beep. The printer will begin an automatic label calibration. Here we use the Dymo 30334 label as an example. 30334 label is 2-1/4” × 1-1/4”, which translates into 57mm x 32mm. You should be able to use other Dymo labels by following the same steps below. Click Width to enter 57 and click Height to enter 32. This translates into 2-1/4” × 1-1/4” to match 30334 label size. Select My Custom Paper-Dymo-30334. And click Test Print to make sure the FNSKU label is printed out properly. 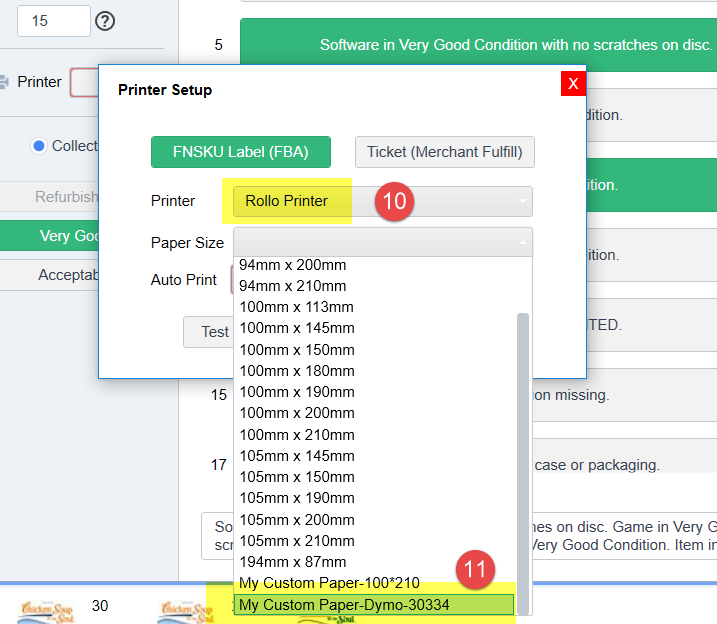 Now TurboLister can print out FNSKU label with the Rollo printer.